The Ryukyu Kobudo is the martial art that employs traditional weapons developed in Okinawa and other islands in the Ryukyu Archipelago, Southern Japan. Kobudo significa “path of the ancient martial arts”. In the fifteenth century, the central Okinawa established a ban on carrying sword. To be protegerem, residents developed their own techniques for using agricultural implements day-to-day as weapons of self defense, as well as unarmed fighting techniques, particular Karate. The location of the island privileged, located on the trade route between several Asian countries, contributed to enrich the local techniques with the influence of other martial arts. Due to the prohibitions, existed long secrecismo in teaching martial arts, that, for Centuries, was inaccessible to society in general. Dagger three-pronged trident similar to a small. It is normally used in a gun trio, the two views and a hidden. 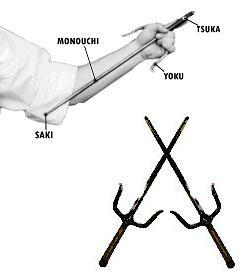 It is one of the arms kobudo more difficult to handle. The leaves must, no maximum, the size of the arm of those who wield. As a weapon, through armor, something possible for your standard weight 600 grams(usually thrown against an opponent wielding long weapons). 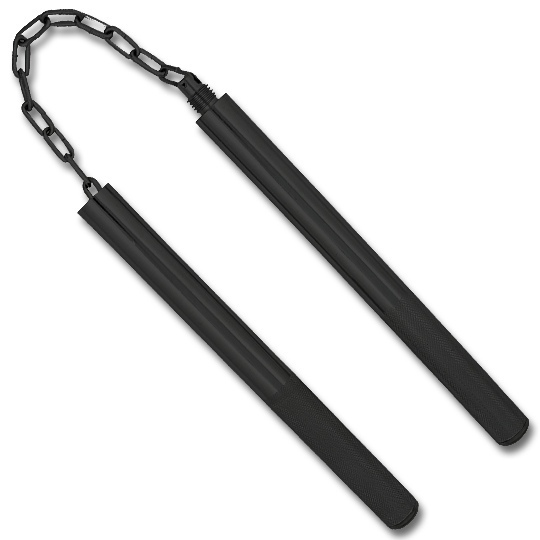 Nunchaku or double bars is a weapon used in isolation. Giving a blow on the opponent with the wood. 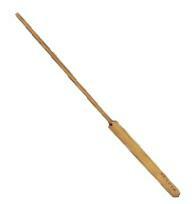 Tonfa (cacetete that police use) is a kobudo weapon used in pairs. Bo is basically a rod that has a size standard 1,80 meters in length. There are some somewhat shorter, de 1,50 meters and other longer, de ofmeters. Was used to carry the buckets attached at each end. Mince the opponent with one end. Eku is the paddle that was used in Okinawa, now being used as a weapon of defense. It is handled similarly to Bo. Kama is a small scythe used alone or in pairs. It was used in cereal crops.